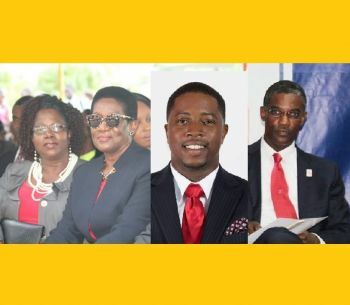 ROAD TOWN, Tortola, VI- One of the main concerns of the elected Representatives who have trouble supporting the Bill entitled ‘Virgin Islands Recovery and Development Agency Act 2018’ is that Premier and Minister of Finance Dr The Honourable D. Orlando Smith (AL) has not been upfront with information requested. Other concerns have been that the independent agency and board mandated by the United Kingdom to manage monies borrowed for the hurricane recovery efforts violates the constitution which gives power to the Minister of Finance to determine how monies are spent. This many see as a backward step in the constitutional development of the Territory. There are also arguments that there are other persons, other than elected Representatives, who are pulling the strings regarding how, when and where monies are going to be borrowed. Further, legislators, especially the Backbenchers and the Opposition Members, are wary of what happened with the BVI Airways deal where information was disclosed to the House of Assembly when requested and even elected members of Government were not privy to certain information. The result is that the BVI Airways deal has seemingly flopped even after Government violated their own terms by forwarding $7.2M to the airline that had owed Government money when they had previously operated in the Virgin Islands. Since 2016 BVI Airways was scheduled to fly and now there are reports that the planes acquired have been sold. Dr Smith has failed to tell the House of Assembly when asked where are the planes and what is the position with BVI Airways. One member of the public, disgusted with Dr Smith’s secretive way of handling the public’s business, took to YouTube where he labelled the Premier a gangster. 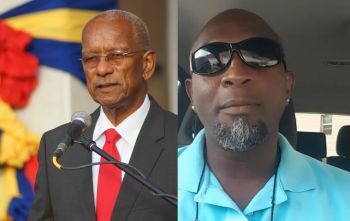 According to Julio S. Henry aka ‘Sam’, a taxi driver and commentator, on a YouTube video made on March 23, 2018, and published the following day, it troubled him to see his Premier running the country with a “mob style” government. “That’s why I saw yesterday [March 22, 2018] in the House of Assembly. I saw the mob, the gangsters them coming to the House of Assembly... We saw Dr Smith come to the House from since November or last year, sometime. He was negotiating on behalf of the people of the Territory without his team, without the people who can advise him properly. 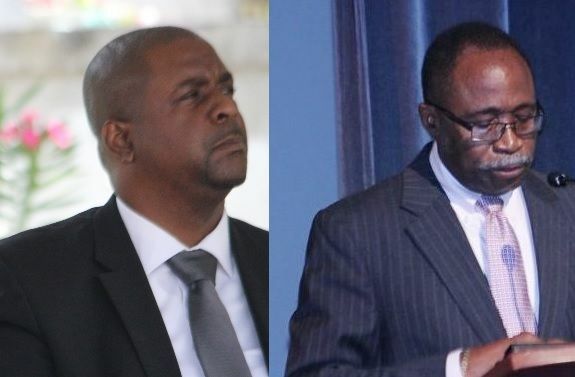 Mr Henry further said it was unreasonable for Premier Smith to deny legislators relevant information to allay their concerns over the Virgin Islands Recovery and Development Agency Act before it was time to vote on the Bill. Opposition Member Hon Julian Fraser RA (R3) had made one final attempt to get Premier Smith to lay all the cards on the table during the Question and Answer Segment of the Third Sitting of the Third Session of the Third House of Assembly on March 22, 2018. The Opposition Member wanted to know whether Premier Smith signed or agreed in any other manner to the term in the document titled: High Level Framework for UK support to BVI Hurricane Recovery and to provide the full document mentioned. “Yes, I say Dr Smith acting like a gangster, a real gangster, to come in the House of Assembly and tell a Representative the information that I need you to debate is there but it is not any of your business, but I want you to debate it and give me your support because at the end of the day it is going to be good. “That is what gangsters do, gangsters walk in your business and tell you pay up because we are going to give you protection that you really didn’t need but you will be protected,” Mr Henry argued. The Bill in question is being reviewed in the House of Assembly where it is the hope that it would be adjusted accordingly for all legislators to be comfortable enough to vote in support of it. He is telling the truth. Hell yeah, Dr.Smith is a undercover gangster. Those quiet ones is always gangster. Dr. Smith as our leader had fallen into the same trap many vulnerable countries of people of colour has been suffering from to this day. Engaging and making commitments for his people with big shark predatorial billionaire(s) and other entities who smell a feeding frenzy around them. He did not engaged his team in the initial process and now put them in a position to compromise themselves and the future of the country and it's people. Yes, we certainly need funding to get us going again, but signing any document without full disclosure can be detrimental to our future growth in the long run. Make sure the amendments are agreed upon and accept before the ink is drawn. "Immediate gratification for those who are only capable of seeing short term is one thing; long term suffering is another." Research any country of people of colour and we can witness their fate where it involved international loans of any significance from instititions that are designed to benefit (when default) from any spoils they deem valuable, taking full control. (IMO) If Dr. Smith cannot play with a full deck of cards, the debate for his removal should begin immediately. EXCELLENT RESPONSE AND KNOWLEDGEABLE. Let me break it down for myself and other that is a little bit simpler in thinking. PREDITORIAL BILLIONAIRE(s) = EDOMITES ...read every and anything in that document. Then after reading give it to others to proof read. Then you send int to Interpol NSA or CIA to ensure it's trust worthy enough. Oh my word edomites dominate those agencies smh. NEVER SIGN ANYTHING EDOMITES INSIST ON PEOPLE OF COLOUR TO SIGN. Stop talking NONSENSE!!!!!! We all sat back and enjoyed getting money for nothing for DECADES when our Government should have been building a fund for a rainy day. Now we are flat on our faces and flat broke we hear all this race baiting %&*#$. Let's ask Africa for a loan then? Get with it! We have been very stupid when it comes to managing our finances and we should be ashamed of ourselves. Ironically it took the same white man to insist from 2012 that we build the reserve and only because of that we are surviving now because we had about $60 mil in there now it's down to around $30mil. What would've happened to us if we didn't have that? Irresponsible actions reap irresponsible outcomes! We cannot act irresponsibly and expect responsible results! This has nothing to do with being a country of colour but rather being a country of small minded fools. If we want to show the world that we are BLACK, SMART and PROUD, let's act like it! We should have been sitting on millions from the gravy days of the financial services sector and we could then tell UK, Branson, IMF and whoever else to shove it. Instead, we are broke as #$%& but still trying to cut style. We put ourselves here so stop the whining and let's move forward. Will we learn from this? Let's hope so! Sam what qualifies you to make such statements? You are desrespectful. Keep your lil street bwoi attitude to yourself. You are irrelevant. Have a seat. I don't see ah ting wrong with what Sam has said. Dr. Smith has lost the respect of the masses. How dare him want his colleagues to sign documents blindfolded. This is the behaviour of a 'GANGSTER', YES. Let them stay there playing the @$% and dont take this loan all you will understand what hard life is! why ah you don"t ask Julio why has @$% back on Tortola! ah set of fool but need to know every detail. @ STOP.....school over donkey tunover. Dr Smith might be wrong .. But i don't think any lil dirty foot should disrespect him .